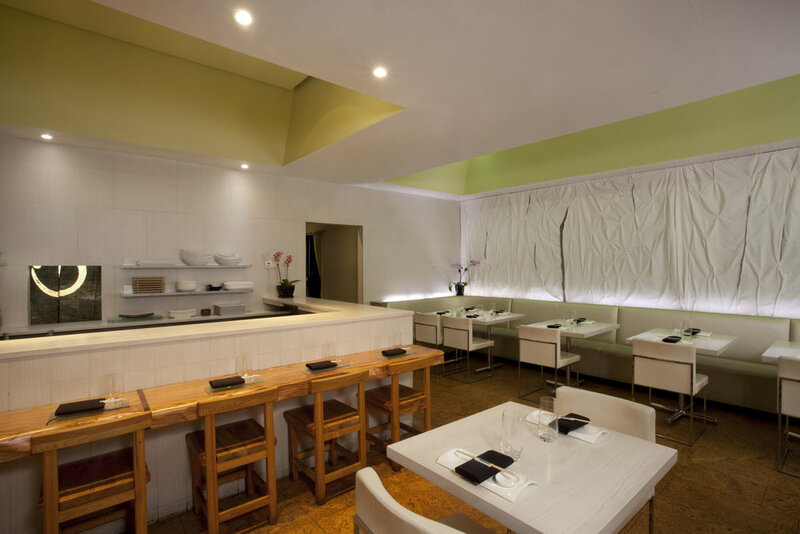 This modern japanese restaurant features a second story dining room overlooking Charlottesville’s busy downtown pedestrian mall. Two distinct spaces stand in contrast to make the dining room: The tall northern space evokes the feeling of being outdoors at night with small points of light receding into the dark walls and reflecting off of the hovering mirrored ceiling panels; The lower southern space is characterized by lighting conditions of the outdoors on a bright Spring day. 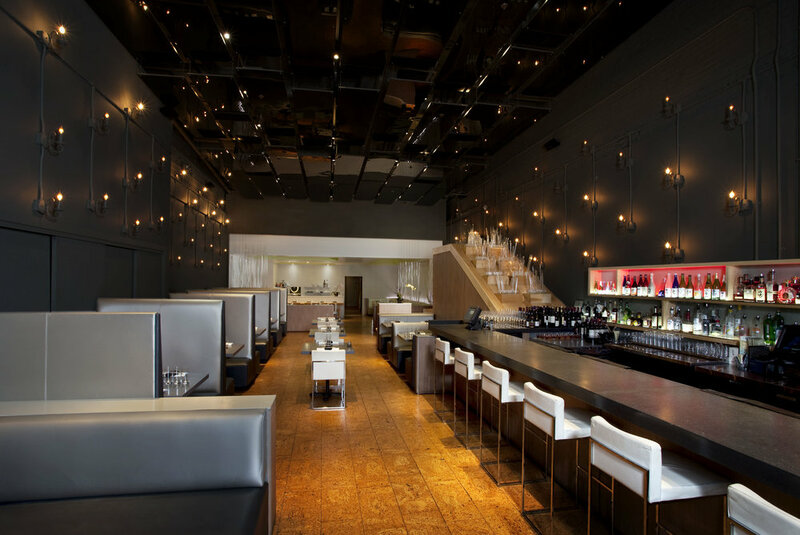 Brightly lit, the textures of the sculptural upholstered wall and hand-carved sushi bar seem almost too vivid and fresh. Collaborators and craftspeople included Hale & White (general contractors), Mark Schuyler Lighting Design, John and Sarah Owen (upholstered wall), Kelly Witt Design (upholstery and window treatments), Wainwright Tile & Stone, Sensitile.